Problematic use of digital media in general and Internet Gaming Disorder specifically, is a growing public health concern across the globe. As such, clinicians in outpatient, inpatient, and residential settings are encountering clients with Internet Gaming Disorder and similar difficulties with increasing frequency. However, many clinicians lack training in conceptualizing, assessing, and treating Internet Gaming Disorder. In order to be prepared to address mental and physical health concerns in the lives of teens and young adults in residential treatment, clinicians and programs need to increase their awareness and abilities in screening, assessing, and treating Internet Gaming Disorder. This chapter provides a comprehensive set of guidelines for the assessment, treatment, and long-term support of recovery for Internet Gaming Disorder in the context of residential treatment. The content in this chapter compliments the information presented in Chap. 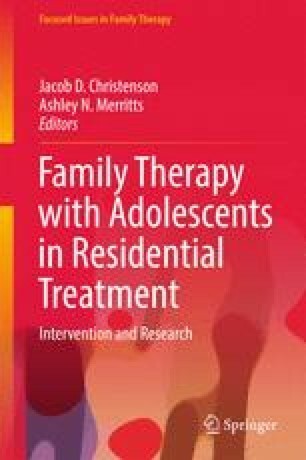 4 and adds important information about treatment of this increasingly prevalent presenting issue in residential settings.